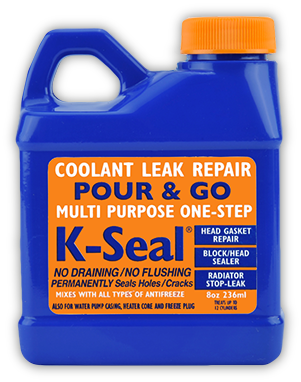 Coolant leaks don’t have to result in costly repair bills – simply add K-Seal K5501 Coolant Leak Repair to your coolant system for a quick and permanent fix. K-Seal is scientifically tested, trusted by millions of customers worldwide, and the only coolant leak repair fluid carried by the AA, the UK’s largest roadside repair company. We have 30 different products on our shelf that claim to fix leaks. Me and my staff grab K-Seal over any product when a garage calls or someone walks in asking if we have a coolant stop leak. Thank you for making a great product that we can stand behind with confidence!